Blanch green beans for 3 minutes. [ I microwave for about 3 minutes.] Toss them in olive oil and salt and pepper. Bundle about 5 green beans and tie a piece of bacon around the bundle. [I also precook the bacon in the microwave until it is partially cooked but still pliable.] Place in a roasting pan and roast for 10 to 15 minutes, until bacon is cooked. A delicious and impressive addition to any meal. 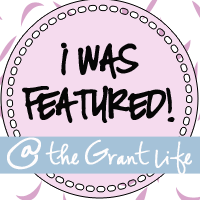 Following from Lets Get Social! Hopefully you can visit and follow us too! Now this I HAVE to try! I even have green beans and bacon in my fridge just waiting for this recipe! Thanks for sharing!! Did you mean that you cooked it on high in the microwave for three minutes INSTEAD of blanching? This looks yummy and fun! 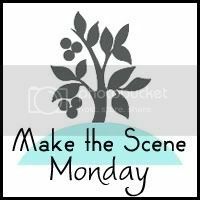 Thanks for linking up to Making Your Home Sing Monday! uhm... 1 word.. YUM! That looks divine! 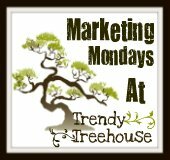 New follower from blog hop Monday! Hope you could follow me back! Thanks! i see you are of the "bacon makes everything better" school of thought. i subsribe to that as well! this looks soo good! This looks and sounds delicious! 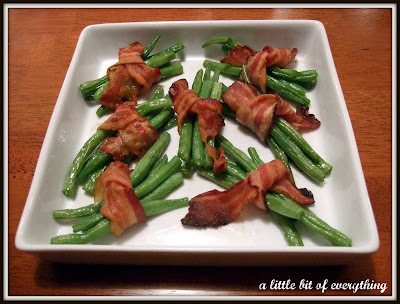 Love the combo of bacon and green beans. You got an award!!! 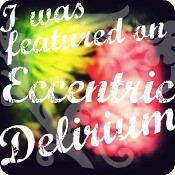 Hop on over to http://diyhshp.blogspot.com to pick it up. This sounds delish! I had something similar at a restaurant once - but they used asparagus and prosciutto... same idea I guess, but more folks are going to like yours! I found you via Aquariann's Spring blog hop! Looking forward to browsing some more. 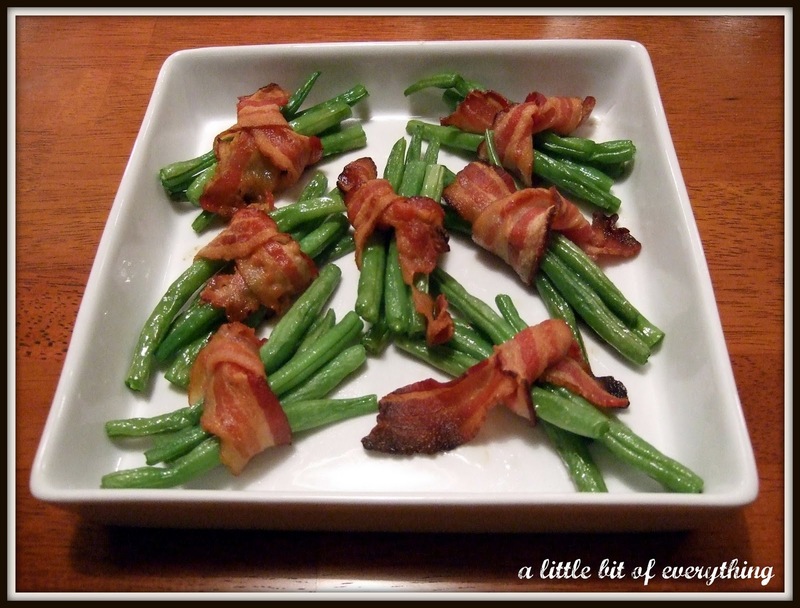 I'm not sure why I have't tried wrapping green beans in bacon...everything is better with bacon! Your recipe looks so fresh and delicious. 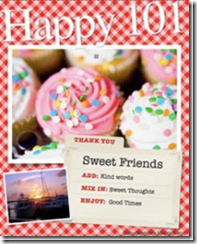 Thank you for sharing and have a great day! Yum!! I have a very similar recipe that uses green beans, bacon, garlic salt & brown sugar. The brown sugar part seems odd, but man is it good!! Can't wait to try yours as well. I'm a new follower!! Yum! I am STARVING! 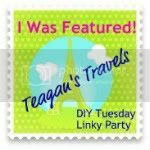 Thank you for linking up at Ten Buck Tuesday! OH. MY. GAWD. This looks delish! This looks mighty tasty! We did a recipe called smoothered green beens that was similar and it turned out well. Your recipe is much neater. 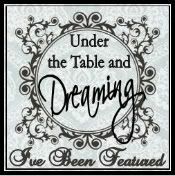 I'm your newest follower http://www.memoirs-of-2-wicked-chefs.blogspot.com/ I would love for you to follow back! that looks delicious! oh my! 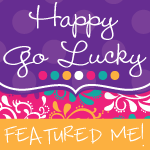 Found your blog through What's Cooking Wednesday. Who doesn't love bacon! Happy to follow. These look great...I wonder if you could toss them on the grill? 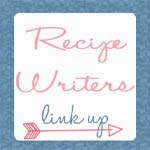 This recipe would be PERFECT for my new weekly linky party, Foodie Friday. 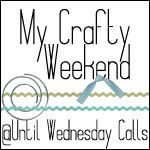 Please stop on over and link up! I found you on Someday Crafts!! 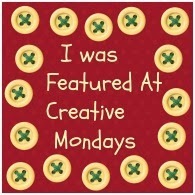 Mmmmmm....Thanks for linking up to Mad Skills Monday! 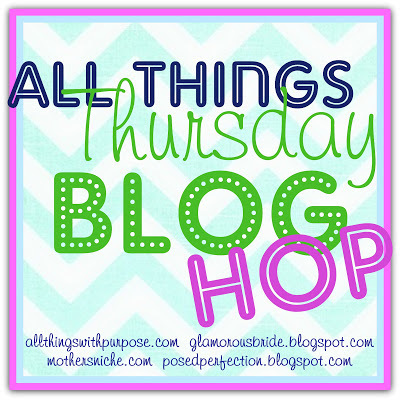 Hi, I'm new to the Friday blog hop. 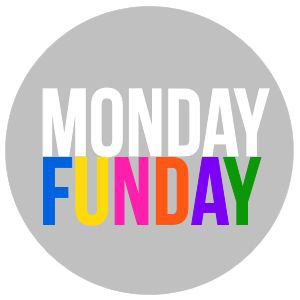 Didn't get around to everyone yesterday so catching up today. 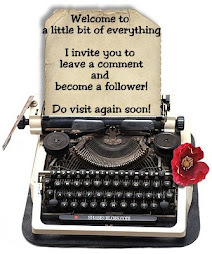 you have a great blog so I grabbed your button and followed. These look delicious! They would make a great addition to an Easter dinner. Is it bad that I want these for breakfast right now??? =o) They Look wonderful!!! I love doing this with asparagus!